If you are going to play this weekend, why not play at Vera & John. All players that make a deposit at Vera & John this weekend, October 17th, 18th or 19th, will receive up to 70 free spins on Twin Spin on Monday. 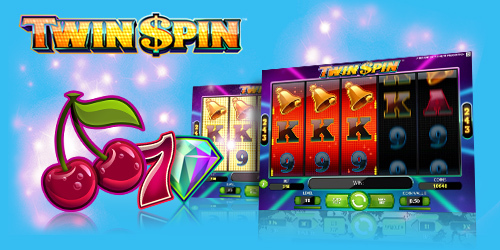 The free spins will be credited to your account on Monday and you can choose to play them on Twin Spin or Twin Spin Touch. Now is a good time to head on over to Vera & John. They have released a bunch of new games the last couple of days. Of course no NetEnt slots, but slots like Robyn by Genesis Gaming, Pearls of India by Play’n Go and a couple of others. Vera & John is a very good online casino that offers games from NetEnt, Microgaming, Play’n Go, Nextgen Gaming and more. They also have an excellent mobile version of their casino and very fast payout of winnings, it usually only takes a couple of hours to reach your Skrill or Neteller account.